We've been SO busy with wrestling season beginning for Ernie. Ariel is wonderful. She is VERY smart and affectionate all at once. She is DEFINITELY in the toddler-stage; into everything, testing the boundaries, etc. She is a joy and would definitely invest in a male when the time seems right. She loves our children and is the apple of Ernie's eye. I will try and send pictures your way soon! "P.S. Ernie wanted me to add that she is 80 lbs. at 6 months and loves her "daddy!" I receive my pup today in good condition ( little smelly). She looks great with the attitude to match, within twenty minutes after getting her home we were playing tug-o-war. 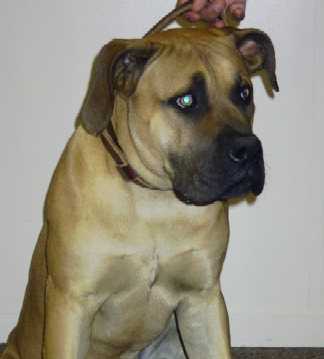 She is a beautiful boerboel and I am please with her ( it take alot for me to say that). I thank you for help in choosing her and thanks for being kind and pateince in dealing with me. She is asleep now and sleeping deeply I might add. Attie thanks again,you have please me for the second time around,for that I am grateful. You are a true (BLUE BLOODED)breeder. 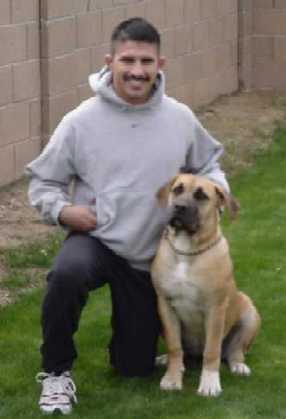 "YOUR A wonderfull person you shipped me the dog as promised, she's a real beauty. i'll post you some pics today. Friendly greatings to a great BB lover. "........he's quite the character!! 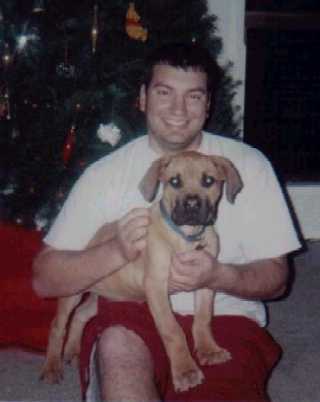 and thanks once again for a magnificent,exurberant, healthy, excellent temperament, athletic, quick, intelligent puppy." Just wanted to let you know that Ali scored 86.0 at the West Coast SABT appraisal in California. The judges were very impressed. 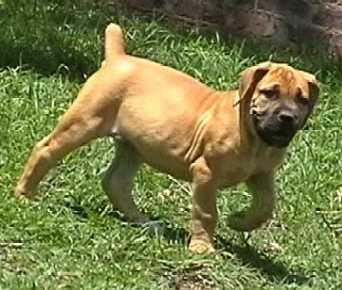 Thanks again for sending such a beautiful Boerboel. cautious person. I do a lot of business with companies outside the US. Never have I done business with an individual based on just telephone calls and e-mails. I am glad that there are still honest people left in this world. 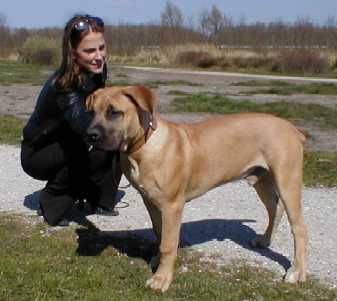 Ridgeback. I realize that if you had to listen to updates on all puppies you have sold you would be reading e-mails for two hours per night. But I will keep you updated from time to time. If you ever need a reference for any prospective buyer, please do not hesitate to contact me. 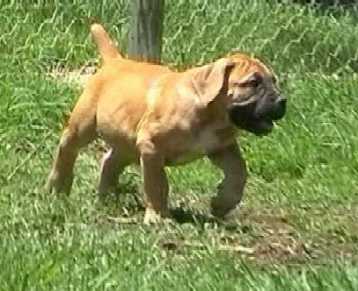 I am very impressed with the quality of the puppy, also with your level of professionalism.Thank you Attie and I do hope some day to see your country. 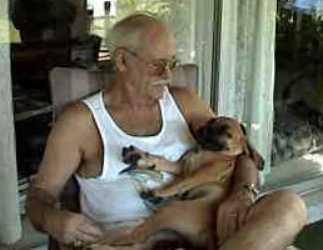 ......dad with Zhenga ...........I can't thank you enough for bringing Zhenga into our lives! She is such a joy!. 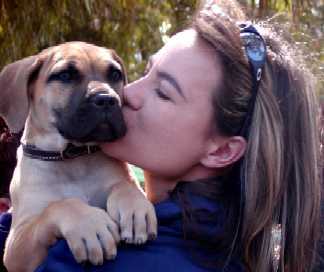 "Despite a big kiss from Lindie Briel, Zandi managed to maintain her composure while the East Rand Boerboel Club celebrated National Boerboel Day at Presidents Park on Saturday ..... she is already a star"
Attie, This is Sauvo at 7 months and 1 Week old. We just weiged him 108 LBS. He has been a great dog and beautiful confirmation. 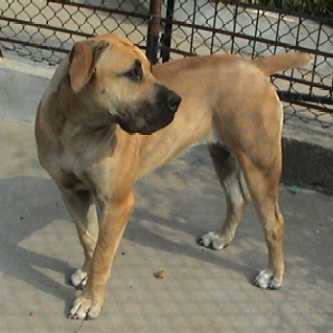 His temperament is great, he is great with hids and other animals. 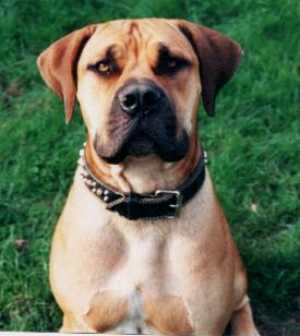 Everything you said about these dogs is true and more, I will never own another breed. They are very behaved but extremely strong and agile. 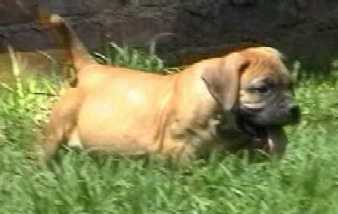 I want to get a female next summer for breeding. Thanks for the great service I will always be grateful. "Ook met Amanda. Volgens haar hoeft ze geen man want ze heeft haar grote vriend gevonden......"
"Also with Amanda. Accordind to her she found a great friend....."
You were right, I have already Vodka here with me! I'm very happy I must confess that I was afraid that she does not be what I imagine, but she is a beauty, thanks for everything, like I said I hope this will be the first of many "business" between us. 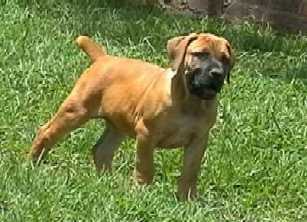 I will make sure that your name be always mentioned when people speak of my dogs!